Advocate M L Sharma was served a show cause notice today by a five member bench headed by Justice Khehar for making ‘scandalous’ and ‘irresponsible’ allegations in his PIL challenging the new law on appointment of judges for higher judiciary. The bench directed Sharma to respond within a week why he should not be "debarred" from filing any public interest litigation(PIL). 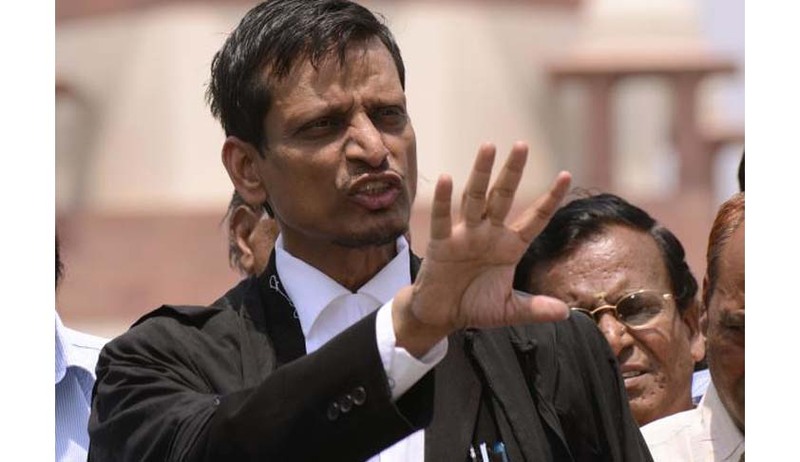 "Having considered the content in the writ petition, we consider it to issue show cause notice to the petitioner (Sharma) why he should not be debarred from canvasing any PIL on account of irresponsible and scandalous allegations levelled by him in the petition," the bench said in its order. The bench also comprising Justices J Chelameswar, M B Lokur, Kurian Joseph and Adarsh Kumar Goel took note of the fact that that Sharma files PILs regularly in the apex court. "You think you can make allegations against anyone at any place. This is not a political platform. You are making rubbish statement," the bench told Sharma. The bench also referred to the petition challenging the National Judicial Appointment Commission(NJAC) Act in which he has mentioned many names and figures.